Fortezza Medicea | Just Visit Siena ! I guess it is high time to recommend you something. . .
Let me write and show you some pictures of my favorite place in Siena i.e. a fort Fortezza Medicea (known also as the Forte di Santa Barbara). For me this place has such a charm and atmosphere, which attracts me there almost every day. And trust me, I can walk and walk there without end, along the walls, through chestnut avenues. As I mentioned Fortezza Medicea is a fort, built in the city between 1561 and 1563 on the orders of Duke Cosimo, that after some years became Grand Duke of Tuscany. The main aim, as you can easily guess was to provide security for the city. However I am sure that more about history of this place you can learn from another website. In my opinion it is pointless to repeat here what every portal about Siena writes. I don’t think also that you want to read here what you can find everywhere. So coming back to main subject. . . according to me very important was what happened in 1937. In this year Fortezza Medicea was converted into a public garden. A garden that is beautiful at any time of the year. And this event gives you a priceless opportunity to enjoy very nice views as well to relax during the day or (in your case) during the sightseeing. For me it is a great possibility to make a walk in isolation from reality and crowded center of Siena. But not only for me. You will see here people of all ages, that are walking, jogging, reading, sitting with friends, making lunch break or even aerobic. What is more, in the Fortezza has a seat The Siena Jazz Association (http://www.sienajazz.it/). This you will get very fast because during the day you can hear in Fortezza jazz sounds, that make atmosphere so special. After your walk and some nice pictures, you can visit Enoteca Italiana (http://www.enoteca-italiana.it/) that is next to the entrance to Fortezza Medicea. It is a right place to buy and taste local wines in their climatic garden. At the end one more important information. . .about location. Fortezza Medicea is in the center of Siena (Viale Vittorio Veneto), only some meters from Piazza Gramsci. 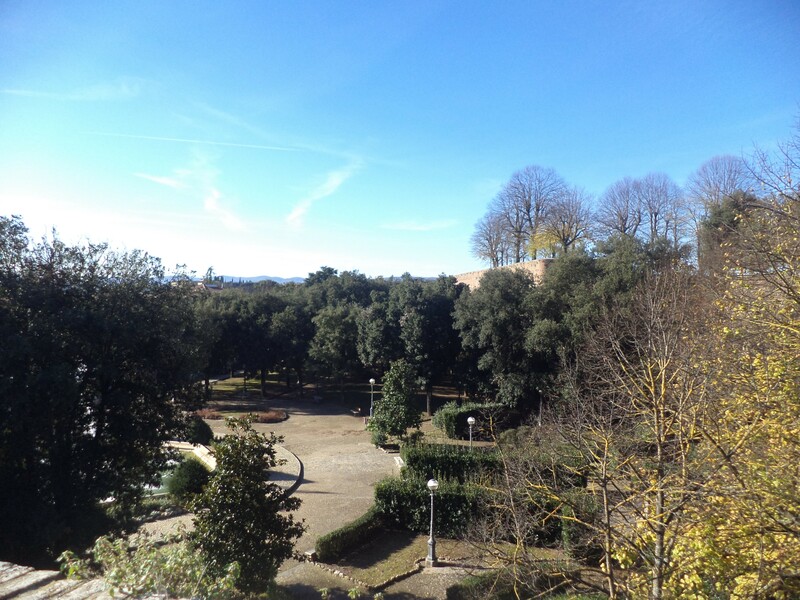 Now you know that Fortezza Medicea is certainly worth a visit! So you can’t absolutely miss this place! Just take a look below!